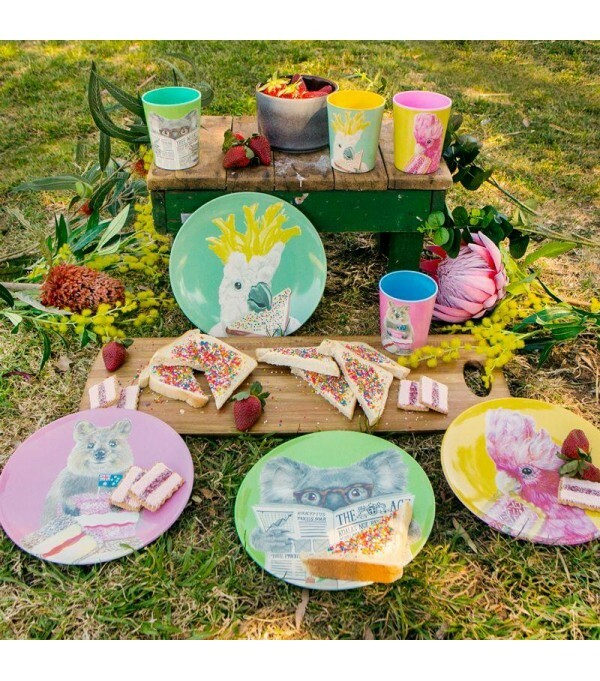 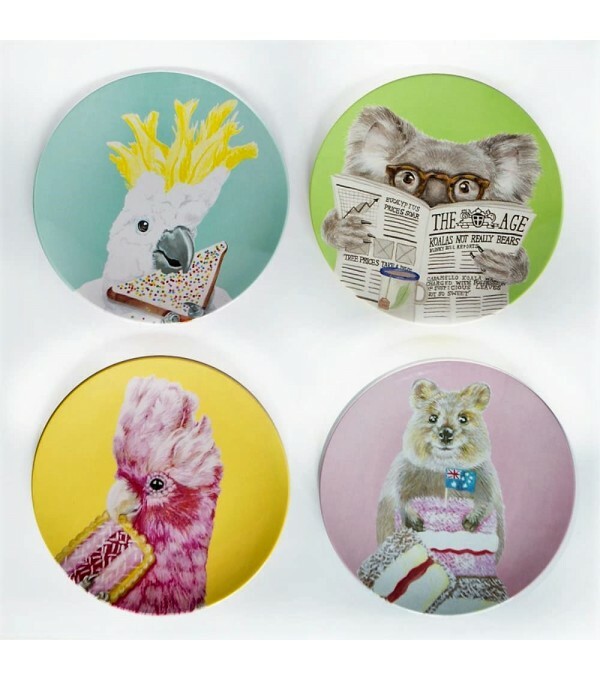 Melbourne artist Olivia York has 4 of her top illustrations on this melamine plate set. 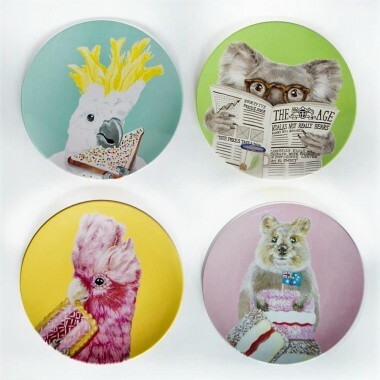 Each plate has a different colour on the back and is great both for eating and displaying! 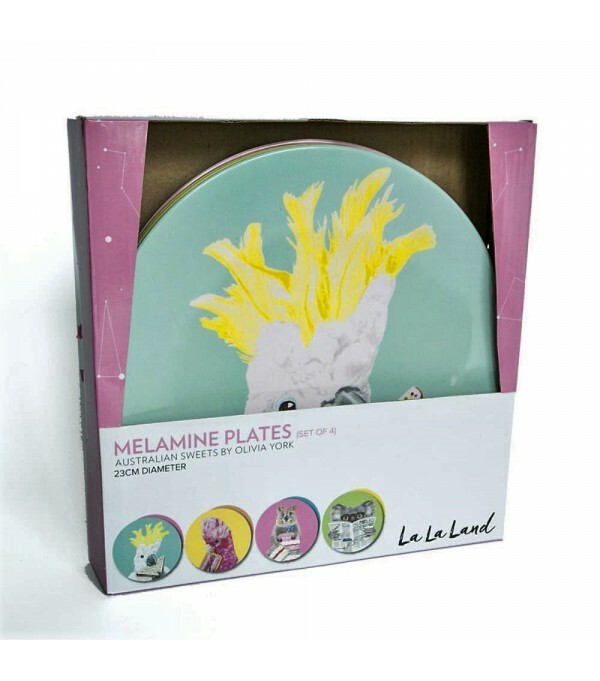 Plates are presented in a gift box.